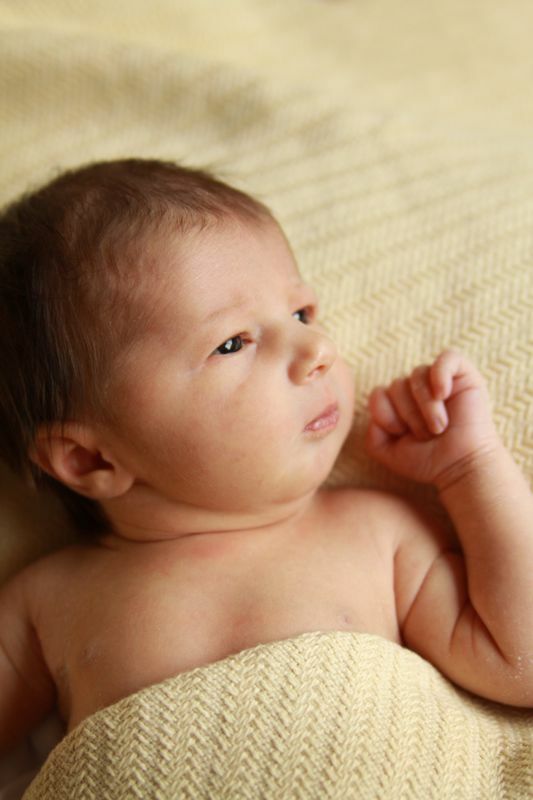 In today’s post: This photography series teaches parents how to take newborn photos at home. Here you’ll learn everything you need to know for a DIY baby photoshoot in your own home, including how to pose newborns. 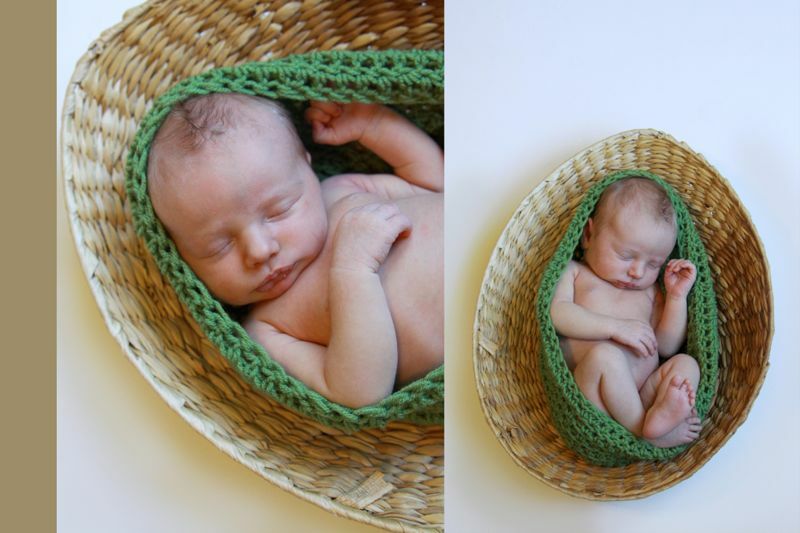 You’ve probably seen a wide variety of newborn baby poses, from a sweet swaddle to a baby in a basket or hanging in a sling from a branch. Lots of the poses you may have seen might take half an hour just to set up, and some actually require having an assistant hold the baby in position and then editing out the assistant’s hands in post processing. Some people love these more creative poses; some people hate them. Personally I think some (when well done) are kind of cool, but I really prefer more natural poses that don’t look contrived. Since my goal here is to help you take better photos of your own newborn at home, I’m going to share three simple, go-to poses that you’ll be able to use without extra equipment (or even extra help). 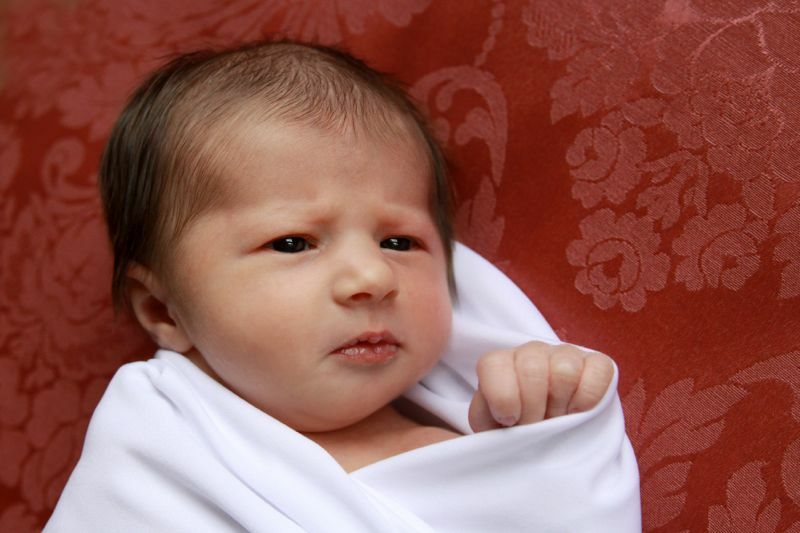 Perhaps now you’re wondering why I even bother posing newborns at all if I want them to look natural. A couple of reasons: 1) Newborns have very little control over their limbs, so they tend to flail about. Left to their own devices, their arms and hands can look very contorted. 2) Most newborns burrow their heads into whatever is nearest them, meaning they will generally hide their faces in any blanket or pillow you lay them down on. 3) Newborn’s legs are long and skinny, and they just don’t look good in photographs when they are sticking straight out. Tucking their legs up underneath them makes for a much tidier looker photo. This is probably my favorite pose, and is always the one I start with if the baby is sleepy (plan to feed your baby right before you try to photograph him so he’ll be more likely to fall asleep). I love how peaceful babies look in this position. It’s also a great pose if you (like me) like newborns to be naked in their photos – you can see their sweet little arms and legs, but nothing else is exposed. 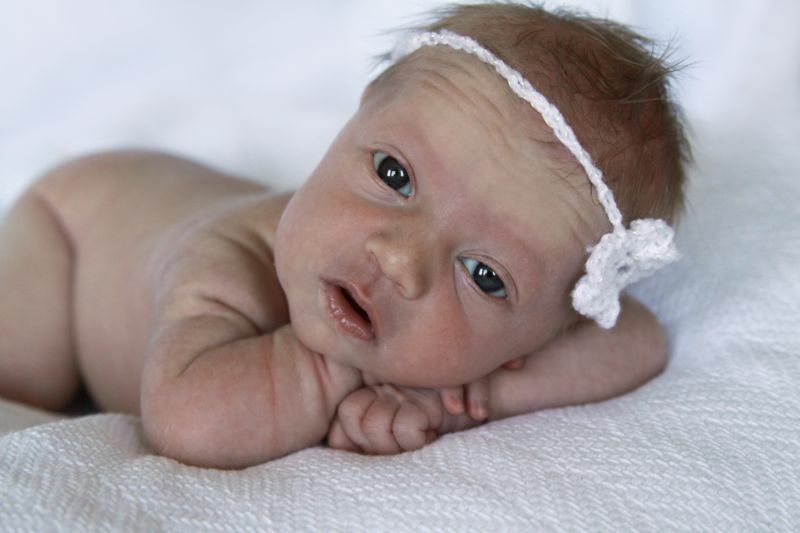 The key to posing newborns is to take your time. Really take your time. 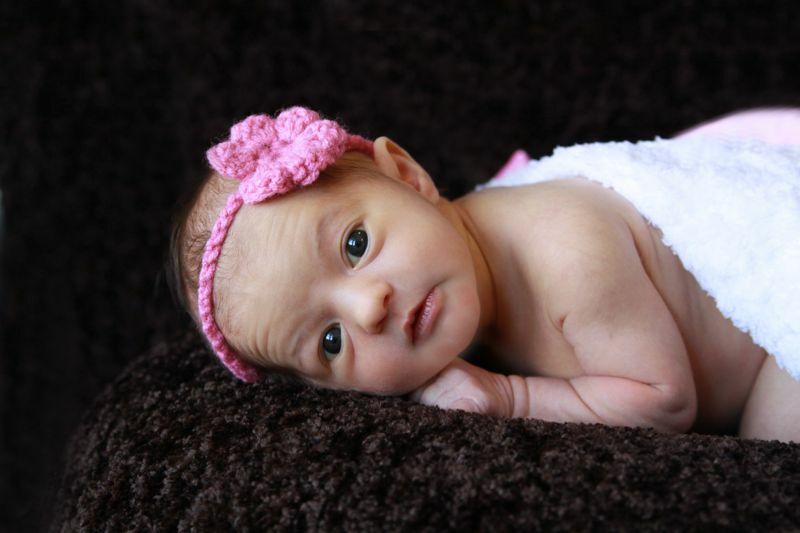 Posing your newborn takes a few steps. First, get the baby naked and wrap her up tight in a blanket, then hold her close to your chest and rock back and forth to settle her back to sleep. It usually doesn’t take long if she was sleepy to begin with, but be willing to wait a few minutes until she’s fully asleep. Gently unwrap the baby, keeping the blanket on her back, and lay her down on her tummy on your blanket covered pillows or bean bag (use the setup I describe in part 1). Keep her covered with the blanket for right now and give her another minute to get settled. It helps to rub her back and shush softly into her ear. Again, wait until she has settled back into sleep before moving to the next step. Next, gently lift her head and position her hands and arms underneath it, then lay her head back down, turning it so she’s look out at you instead of down into the pillow. The photos below show why it’s important to tuck the hands under her head – if you don’t, they’ll likely end up right in front of her face, as in the first photo. In the second photo you can still see her hand, but it doesn’t block your view of her face. Once you have the baby posed, step back and look at the whole picture for a few minutes, checking for details that need fixing. 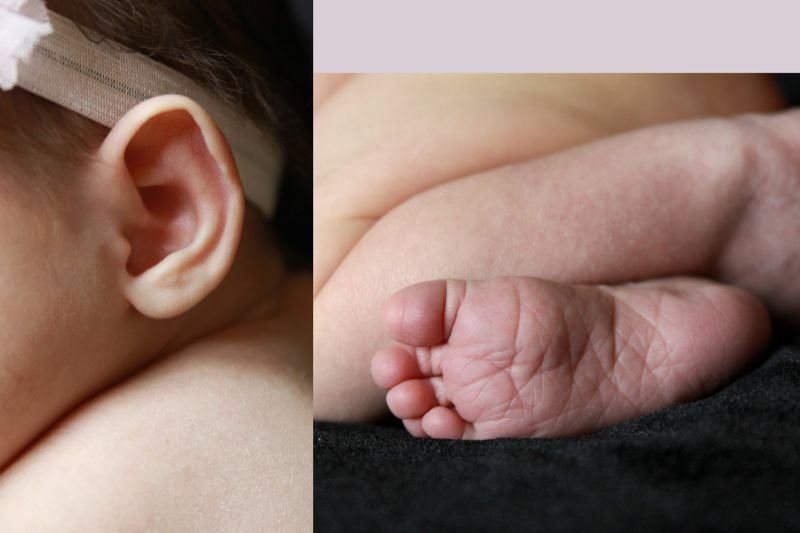 If her hand is visible, make sure you can see all her fingers are visible – sometimes one or two get tucked into a fist and then if the photo it looks like the baby only has three fingers. 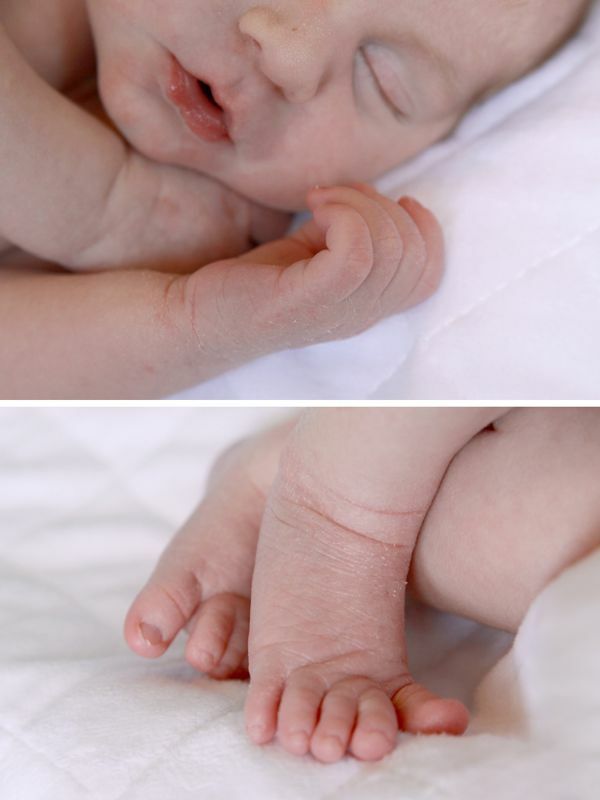 Also, be sure baby’s eyes are closed completely – in the second photo above the baby’s eyes are not quite closed. A simple stroke down the bridge of her nose will cause her to close her eyes all the way. Make sure the headband is positioned how you’d like, and the background blanket is free of wrinkles, etc. Above all, make sure the baby looks comfortable and peaceful – if not, try again. Once the scene looks as good as you can make it, it’s time to start photographing. I start by sitting right in front of the baby (sitting down on the ground so I’m on the same level as the baby is) and get a few full-body shots. Then I start zooming in. I take lots of shots for each pose. I take photos from different angles, standing up and moving around. I love details shots, like the ones below. 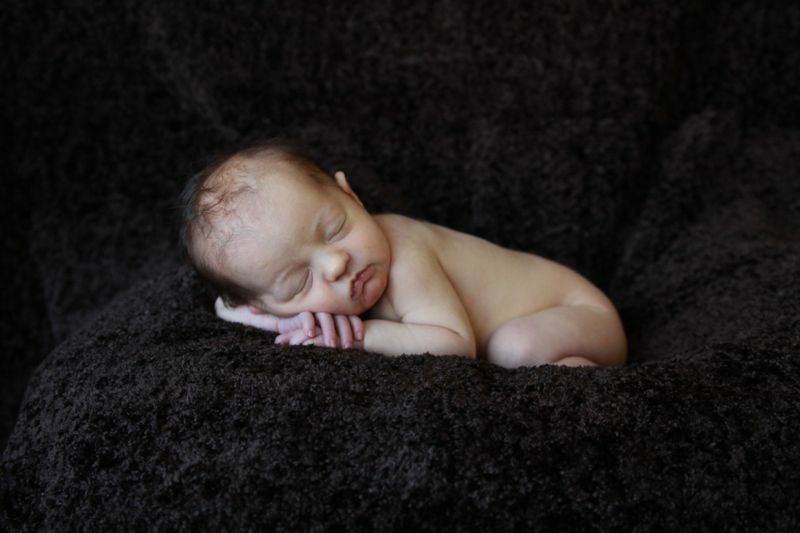 Once you’ve taken 10-15 shots of the scene, figure out how you can change the setting without disturbing the baby. This picture below is from the same pose as the first photo in this post, but it looks very different. I unclamped the blanket the baby is laying on from the backdrop board, letting it fall behind her. Then I clamped pretty pink fabric to the backdrop board. Finally, I pull the edge of the blanket the baby is lying on up over her back to make it look like she’s tucked in bed. While I was making these changes the baby was snoozing away, staying perfectly posed. I got two very different looking sets of photos from one pose. 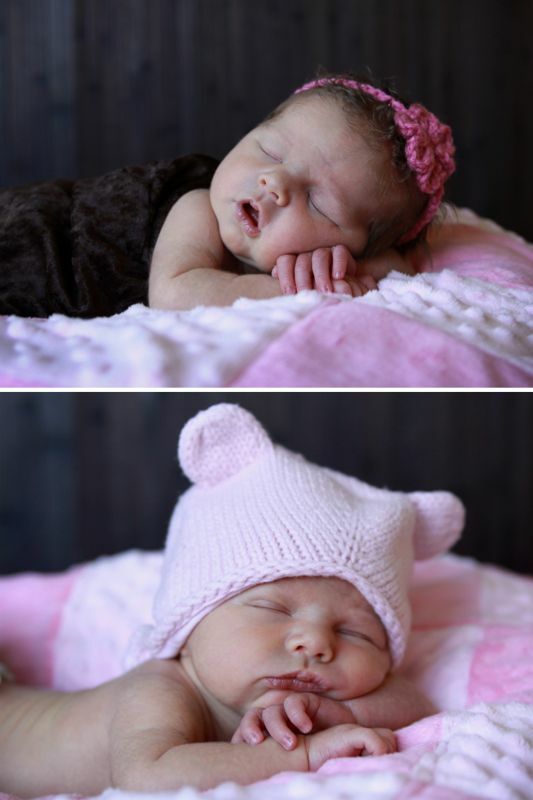 This is a great way to maximize the baby pictures you get from your DIY photoshoot. Here’s another example of changing up the same pose – this time I left the background the same and just changed accessories. It gives a different look with very little effort. And here’s some more detail shots, just ‘cuz I love them so much. Sometimes the baby will wake up as you move her around. Try covering her with a blanket and rubbing her back to help her go back to sleep, OR take advantage of her first waking minutes before she starts moving around much to get a few shots with her eyes wide open. Once I have plenty of pictures of baby on her tummy, I take a few with her on her side or back. These get a little more challenging to do naked, as you have to make sure baby’s legs stay crossed. Start the same way you would for the first pose, with a naked baby in a blanket in your arms. Once he’s sleepy, gently lay him down on his back and remove the blanket. Cross his feet and bend his knees like you see in the photo below and just hold them there with your hand for a few minutes. If he relaxes in that position, you’ll be able to slowly remove your hand and his legs will stay crossed. It helps if you have something you can gently wrap the baby in to hold the legs crossed. The white fabric above is just a length of cheesecloth. You can also make or buy (check etsy) a pretty crochet “bowl” or “peapod” that will help keep the baby’s legs pulled in and crossed. For this type of pose I usually move my couch cushions out of the way and put the baby all the way down on the floor. Then I stand on a chair near him and photograph him from directly above (see the first photo below). But if the baby really wants to turn her head to the side it’s worth hopping off the chair and lying down right next to her to get a few photos that show her face better (second photo below). For this last photo I was crouching so I was still above the baby, but not directly above her. 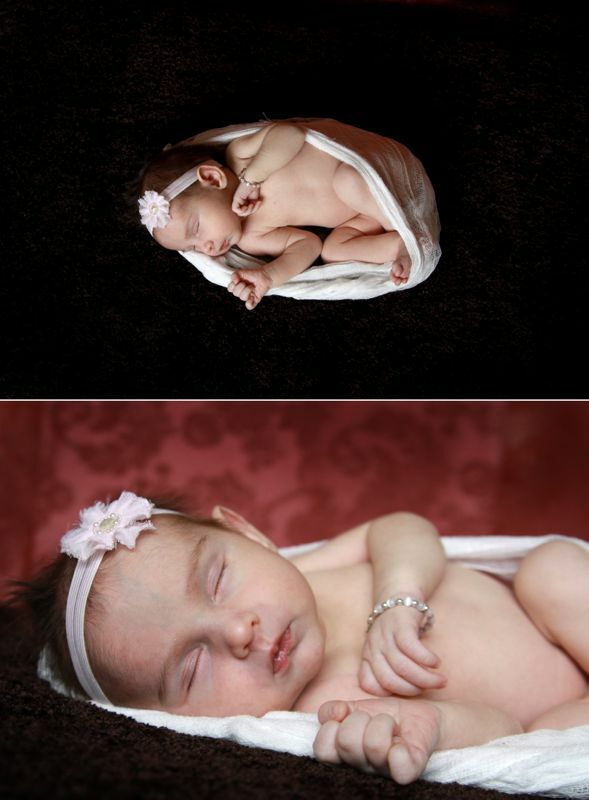 Swaddling a baby is the easiest way to pose her for newborn photos at home. Simple wrap her up tight and lay her down on a pretty blanket of piece of fabric. 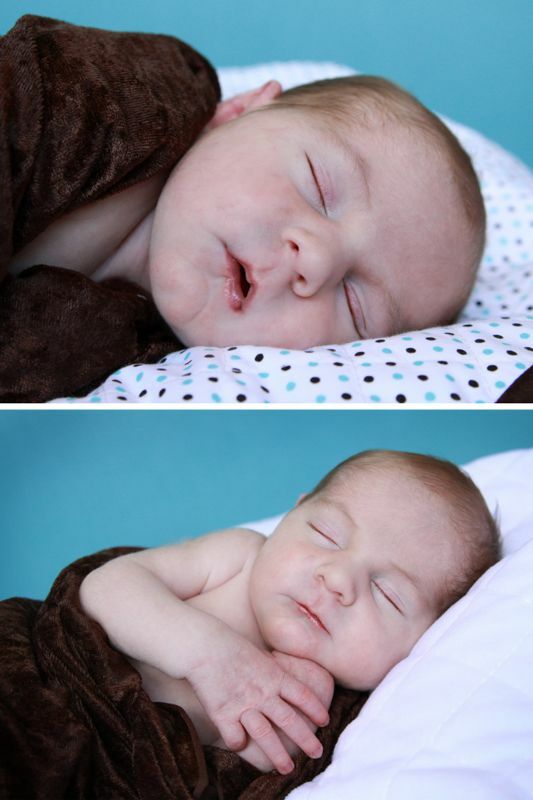 I usually save swaddled photos for the end of the photoshoot, when the baby has woken up. 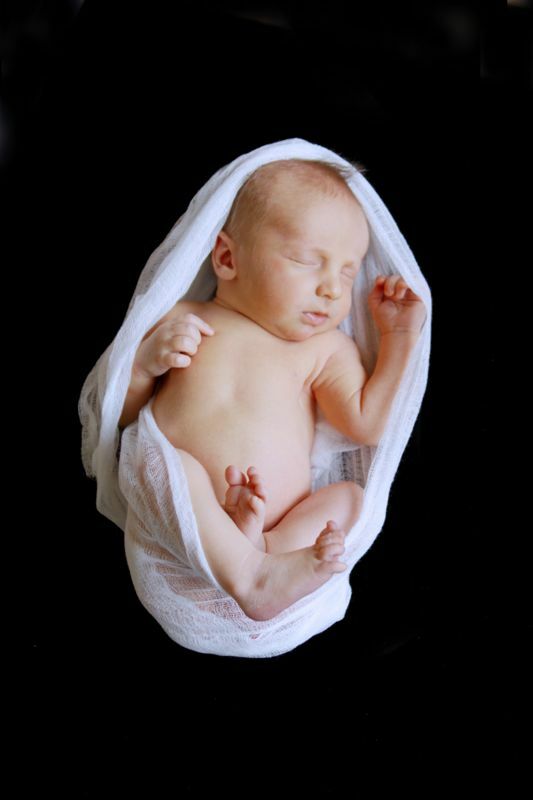 Newborns love to be swaddled and will usually stay pretty calm if they’re wrapped tight enough (check out this post on swaddling if you don’t know how). If the baby is still asleep you won’t have to wrap her as tightly to keep her calm. Use a favorite blanket (like this one that my awesome friend Heidi made for me) to wrap the baby and lay her down in a pretty basket or bowl. The bowl seen here is extremely shallow, which makes it the perfect prop for a DIY baby photoshoot (it’s from IKEA). 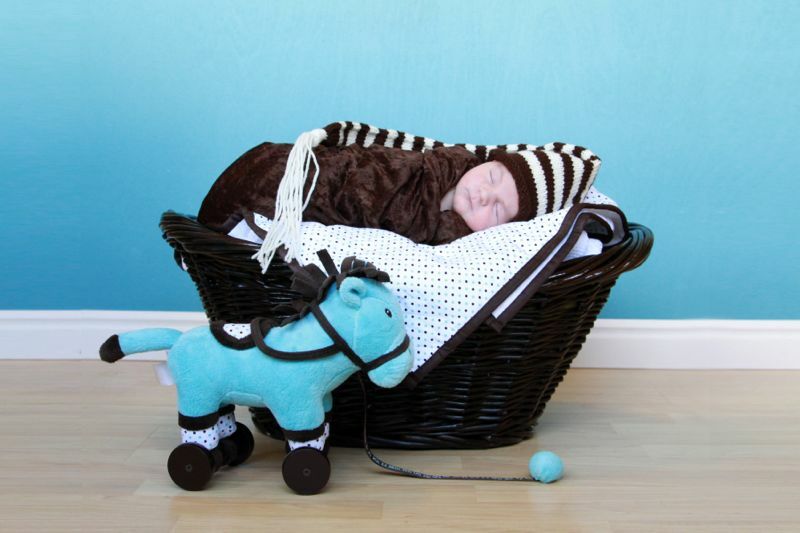 If your basket is deep, you’ll need to fill it with blankets first and then sit the baby right on top so he doesn’t sink to the bottom of the basket. Don’t forget to take more detail shots when the baby is swaddled. You can pull the blanket up at the bottom to uncover those tiny toes. Here’s another variation on the swaddled pose – instead of being wrapped up, this time the baby is simply covered with the end of the same blanket she’s lying on. It makes her look ready for bed. It’s very simple and very sweet. 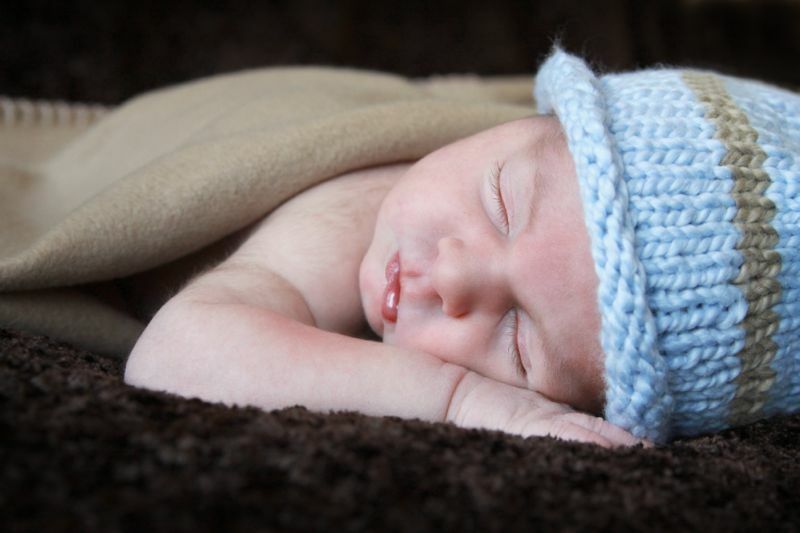 I hope these tips on how to take newborn photos at home have been helpful! Check out the rest of the series for even more info on setting up your own DIY baby photoshoot. What great tips! I just found your site and I am loving it! You have great posts and amazing pictures. Looking forward to your future posts. Thanks for these great tips and inspiration. 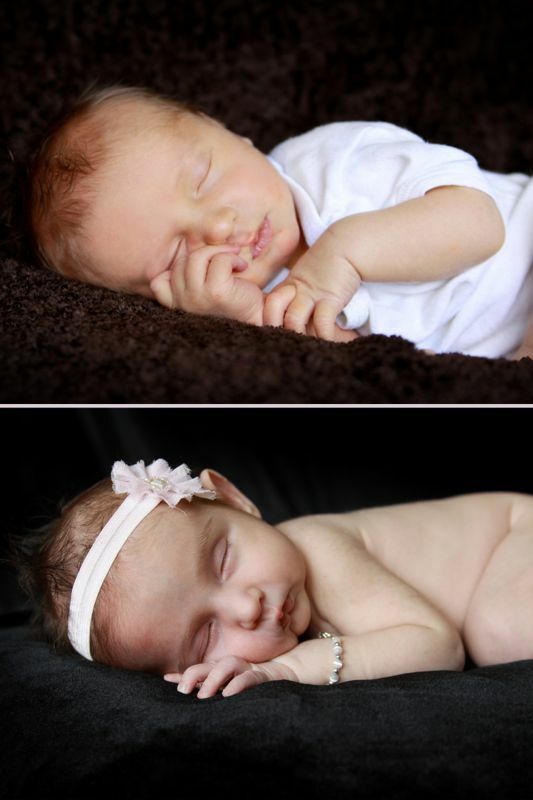 Looking at all these adorable babies, I can’t wait to meet (and photograph) my little girl in a few weeks! This is so great. I’ll definitely be using these tips in a few months when baby boy arrives. This post is super helpful. Your photos look like the pros! I especially like the second to last photo, with the baby’s mouth open. ACABACO DE ENCONTRAR SU SITIO Y LA VERDAD EN UNA GRAN AYUDA , ESTOY EMPEZANDO COMO AFICIONADO EN FOTOGRAFIA Y ESTO ME SIRVE DE MUCHO. UN SALUDO CORDIAL DESDE ARGENTINA. ACABACO DE ENCONTRAR SU SITIO Y LA VERDAD ES UNA GRAN AYUDA , ESTOY EMPEZANDO COMO AFICIONADO EN FOTOGRAFIA Y ESTO ME SIRVE DE MUCHO. UN SALUDO CORDIAL DESDE ARGENTINA. 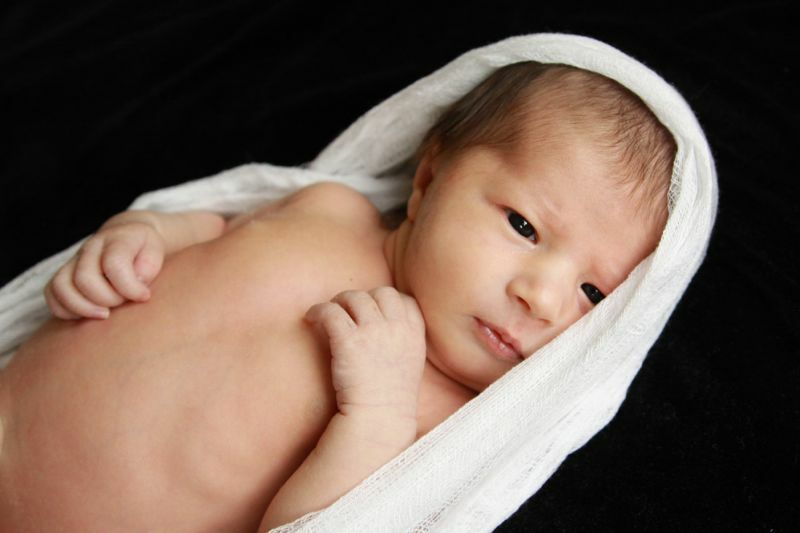 I am pleased to see such useful post on newborn photography. Your guidance is amazing and the parents who are really crazy to get unique poses of their newborn will get much help from the article. Please send me any more info for shooting babies and toddlers. I love your website! Kellie – I have quite a few posts on photographing babies and toddlers – just search “baby photography” or “toddler photography” and you should find quite a few. Thanks! Thanks for these simple but great tips! I just found your blog on pinterest as I was looking for ideas on baby posing. I am just starting out as a photographer (still very much an amateur) and this week I am photographing a friends baby to gain experience. I will set up something in her home, so therefore this post was very helpful! I really like your site and the tips you give on photographing toddlers, children, and newborns! They are so very helpful. I think your photos look 100% professional! I was wondering if you had any articles on photographing babies (older than newborns)? My son is 6 months old and I want to photograph him. If not, these tips are still super helpful! Especially the other article that includes the links on how to make different backdrops! Thanks! 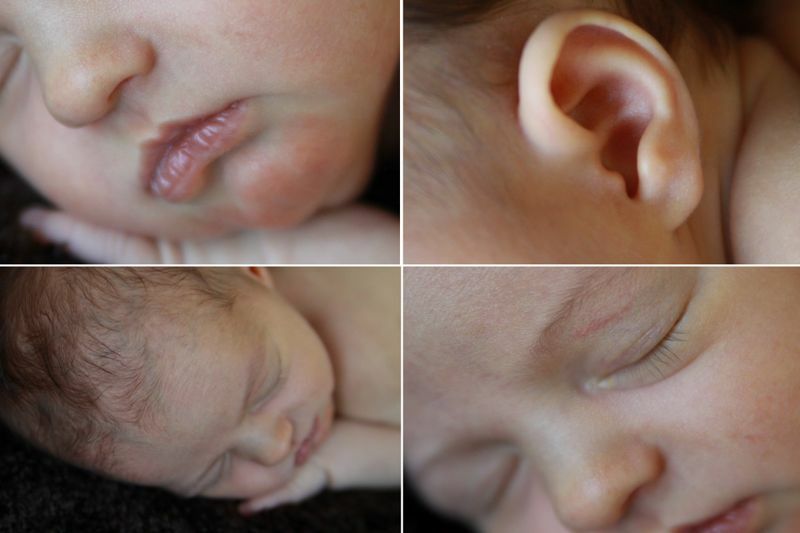 Great blog post for someone who actually knows how to photograph newborns and use their camera and settings. However very DANGEROUS for a newbie to try. I would like to know if you can provide the link for the crochet pattern for the afghan you used in the picture. A friend of mine asked me to do a shoot with her newborn, but I’ve never done that before. This was a huge help, thanks for sharing. 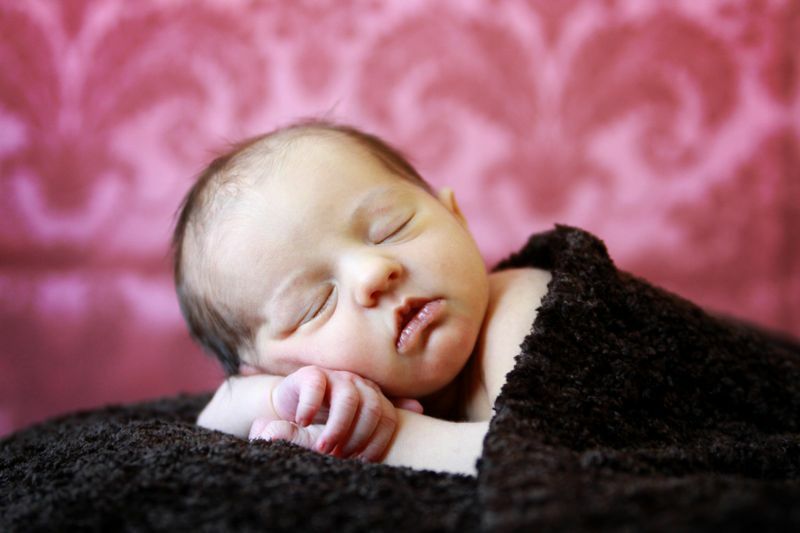 what a great article and some awesome newborn photography tips. I agree – the blankets and the right posing beanbag make a huge difference, as does natural light. Great tips! 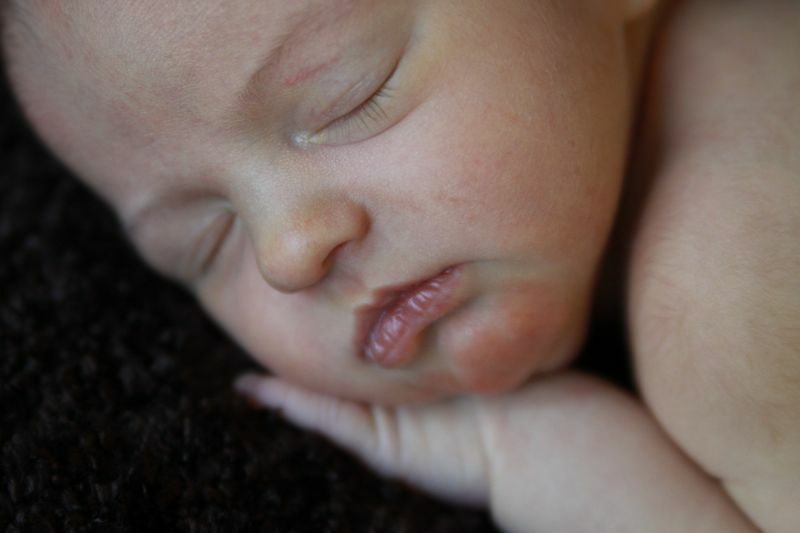 I love taking photographs of newborn babies too. Oh my gosh – I love all of your photography tips!! I am a fairly new grandmother whose decided that I want to start taking newborn/toddler pics as a hobby and maybe one day a side business. Thank your for sharing!! I don’t think I’m ready to invest in Photoshop yet but I’m excited to learn about photo editing. 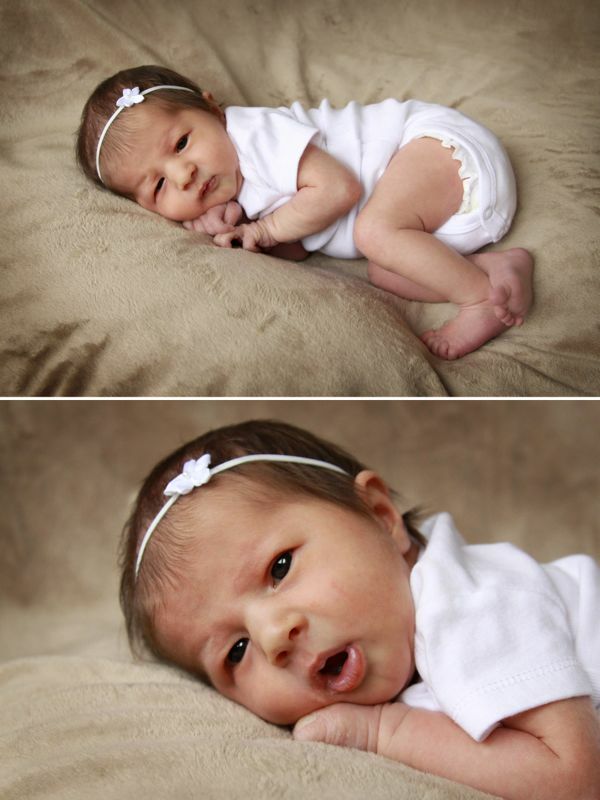 Your newborn photo shoot was very helpful. I especially like the actual photos that you use as examples. Thanks so much! I am going to read the other posts as well. I just discovered this website and am impressed . . . excellent, helpful tips and cute photographs! I have one question: why are women–instead of men– always holding newborn boys in their hands? I’d like to see a photo of a little boy being held by a man (such as its father, uncle, older brother, etc.). Happy Christmas and New Year to everyone!